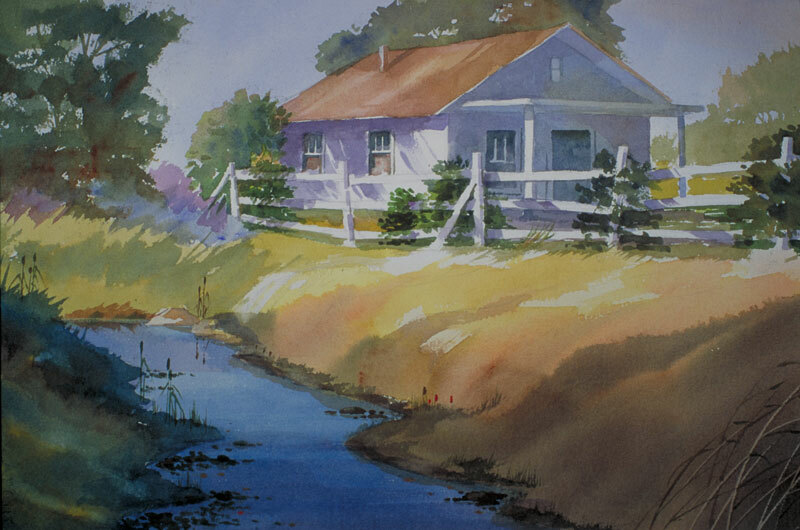 Thomas Freeman Original Watercolor Painting: "A Place in the Country"
I had a photo of this cottage I took while at an art workshop in the Gold Country area. I decided to bring in the light from the left. This let me develop some shadows under the eaves and the front of the cottage. They're also deeper on the left side of the bank and then fall across the river and up the other side.